What is Party Life Bus? Party Life, LLC is Huntsville’s premier luxury transportation providing services to the Tennessee Valley and surrounding areas. We specialize in providing our clients with reliable quality transportation at an affordable price! 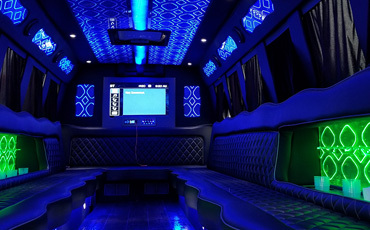 The Party Life Bus is a great alternative to the standard limousine service. We provide the client with ample space that allows large groups the mobility to move around and have a full out party experience. We employ licensed drivers that provide quality customer service and assistance. Party Life provides the client the peace of mind of not driving under the influence as well as hassle free parking. We also customize packages for our clients party or if you already have your party planned out our services will then bring your vision to life! Party Life is committed to offering our clients an unforgettable experience while being safe. Private Parties and much much more!! !